Your first impression is not always correct, but it is natural to make it. Making a good impression on first viewing is rarely more important than it is in the highly competitive world of online casino sites. Unfortunately Huge Slots seems to have missed the memo on this, and instead seems to have gone for a design theme that would not seem out of place on a mid-1990s screensaver. It is almost impressive that their design concept may actually be less unique than their name. It isn’t all about design, but if you want to lure in new customers with tempting offers, you need to find a way to get their attention first, and Huge Slots has made very little effort to do this. 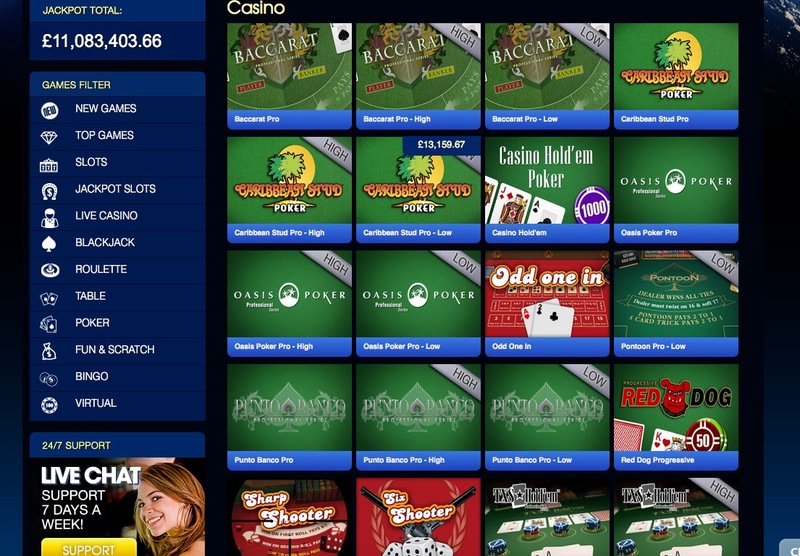 However if you do decide to give the site a go, there are some definite perks to becoming a part of the Huge Slots online community. Conveniently, it does. The name suggests a slot heavy array of games, and this is certainly true, but there are more than just slots to enjoy. Bingo lovers can take advantage of the Barbados Bingo and 75 Ball games, there’s a good collection of scratch card games on offer, topped off by one of the most extensive collection of virtual sports games around. For the casino lover, table games are a-plenty at Huge Slots, as many forms of poker as you could want, baccarat games, roulette games, an excellent choice of blackjack games and a live casino that can stand up with the best around. But it is, of course, the slots that matter most at Huge Slots. Fortunately, this is understood and there is a veritable plethora of slot based wonderment at your fingertips as soon as you arrive on the easy to navigate site. New games including James Dean, Merlin’s Magic, and Koi Princess are interspersed with all of your classic favourites including Starburst, Jack and the Beanstalk, Gonzo’s Quest, and Judge Dredd. Huge Slots is not known for paying out the quickest as far as its competitors go, but it is one of the most reliable and their customer service has a reputation for being fair and efficient. It may be the case that as soon as you land on the Huge Slots homepage, you opt to immediately leave and find a site that has made more of an effort to captivate your attention. However, if you do choose to spend some time on the site, you will quickly learn that between an excellent choice of games and some tempting promotions, there is a lot here to keep you interested. Newbies and veteran players alike are likely to find a lot to love about Huge Slots.